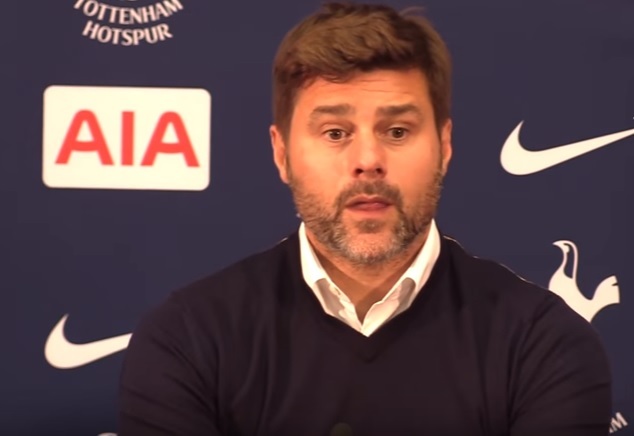 Mauricio Pochettino will have taken plenty away from Tottenham’s lacklustre goalless draw with Swansea on Saturday evening. Spurs dominated throughout but were unable to break Paul Clement’s resolute defence down. Once again, the Lilywhites seemed to lack width at Wembley, something they may have to address in January if it continues to be a problem. In the meantime, they are considering other ways to bolster their attack, with the Daily Mail suggesting that they have joined Crystal Palace and Newcastle in the race for Besiktas’ Cenk Tosun, who is rated at around £17.5million. The 26-year-old hit the back of the net in his side’s 3-1 win over Porto in midweek and drew attention to himself last season with 27 goals in the Turkish club’s league-winning campaign. Earlier in the summer, he was rated at just £12million, but that price has now risen as he continues to shine. Tottenham have loaned out Vincent Janssen to Fenerbahce, and the Dutchman scored in their 4-1 win over Alanyaspor last night. They replaced him with Fernando Llorente on Deadline Day, but the Spaniard is yet to start a game as he plays second fiddle to Harry Kane. Our Football membership gives you the chance to piggy back the work of a professional. Get the same betting opportunities that Josh uses for his own betting – a clear betting strategy to take you on the path to football profits. Kat has been a freelance journalist for several years and, for her sins, is also a keen Tottenham Hotspur fan. While she is a regular at White Hart Lane (with the very occasional trip to Wembley), she is a lover of football at all levels and across Europe.